AdmissionSquad is a 501(c)(3) non-profit education organization that specializes in getting high-achieving middle schoolers into top NYC high schools, top colleges and exposed to leading careers. We accomplish this mission through academic enrichment, test prep, application advising and mentorship. In January 2016, specialized high school graduate Tai Abrams (Bronx Science ‘05) founded AdmissionSquad with a bold mission to build a pipeline of talented youth ready for the demands of the future labor market. She was clear that access to a high-quality education was linked to greater success in life so she got busy building an organization that has the capacity to get more students on what she calls the Education to Wealth Pipeline. Ms. Tai brings over 15 years of experience as an educator, admissions consultant and business strategist and has leveraged these skills to position AdmissionSquad as a viable high school admissions solution for families and schools across NYC. To date, AdmissionSquad has provided parent workshops both online and in-person to over 5,000 families/educators/community leaders and has supported over 500 students in one of our programs: Early Start Program and Huda Prep Program. We have also partnered with six middle schools to support students on the journey to getting into a top high school. To date, we have maintained an 80% success rate of getting students into a top NYC high school. Learn more about our rock star team down below. Meet some of our alumni at this link. We have a team of dedicated educators, leaders, mentors and community organizers who are committed to seeing our children gain admission into NYC's best high schools. Tai had a vision to see all children in NYC be in a position to gain admission into a top high school and have increased access to opportunity to secure a bright future. She knew that information and resources were the main barriers to fully realizing this dream for certain communities. She got busy developing AdmissionSquad as a solution to this very important problem for NYC children. She is a graduate of The Bronx High School of Science, Class of 2005 and holds a degree in Mathematics from Duke University, Class of 2009. Keola is a dedicated and passionate math instructor that helps our children develop a deep understanding of math and increase their confidence. She is a committed mentor and educator and is results oriented. Sabrina is a dedicated and passionate english language arts instructor that helps our children develop a deep understanding of literature and how to improve reading comprehension. She receive her graduate degree at the Relay School of Education. She is a committed literacy coach with excellent teaching strategies that have allowed our students to thrive. Our interns are current students at top NYC high schools and they have made a commitment to helping the next generation of students who are getting ready for top high school admissions. 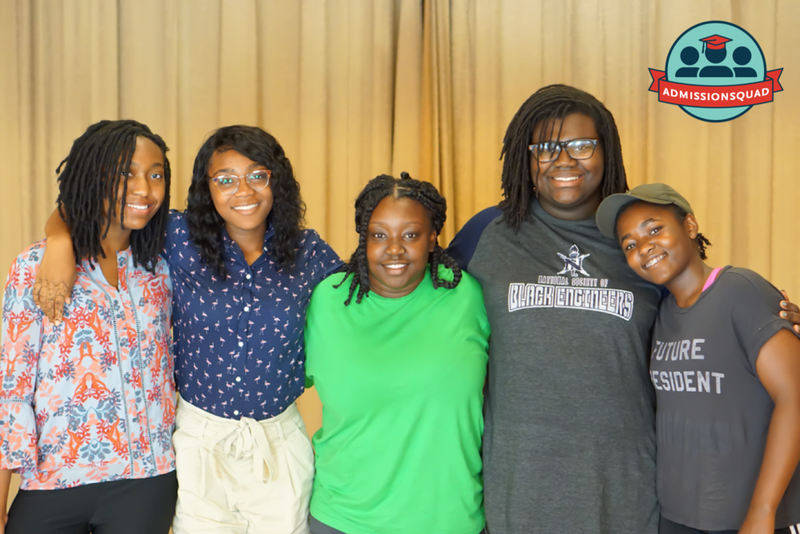 Interns provide mentorship, help proctor, provide 1-on-1 tutoring and work on special projects to help develop their college admissions portfolio.